Machine learning to link cognition with brain activity: I am interested in data mining of functional brain images (fMRI) to learn models of brain function. My publications page and my Google scholar page. I am editor of the scipy lecture notes. See my view on scientific computing. 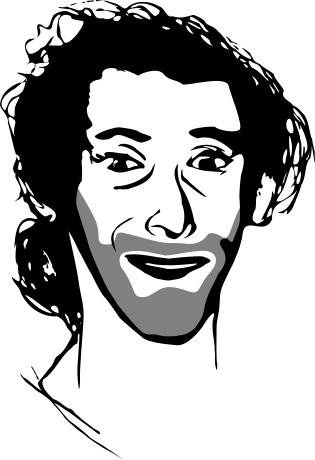 Do not write to me to ask me about some software, even if I am the maintainer. Write to the relevent mailing list or open a ticket. If you are looking for an internship, write me a concise email, telling me why you are interested in working with me, and with a CV (even if it is only for a preliminary enquiry). Also, check our group's job offer page. The most prestigious award in medical imaging. World-wide recognized contributor and project-manager for open-source scientific software. DirtyData (500 k€): machine learning on data without preliminary cleaning. NiConnect (700 k€): statistical tools for clinical research with brain functional connectivity (finished). LearnClues LabCom (300 k€): joint lab with tinyclues, to develop machine learning tools in Python, in big-data and semi-large scale distributed settings (finished). Gaël Varoquaux is a tenured computer-science researcher at Inria. His research focuses on statistical learning tools for data science and scientific inference. He has pioneered the use of machine learning on brain images to map cognition and pathologies. More generally, he develops tools to make machine learning easier, with statistical models suited for real-life, uncurated data, and software for data science. He co-funded scikit-learn, one of the reference machine-learning toolboxes, and helped build various central tools for data analysis in Python. Varoquaux has contributed key methods for learning on spatial data, matrix factorizations, and modeling covariance matrices. He has a PhD in quantum physics and is a graduate from Ecole Normale Superieure, Paris. 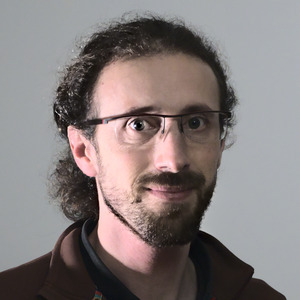 Gaël Varoquaux is an Inria faculty researcher working on data science and brain imaging. He has a joint position at Inria (French Computer Science National research) and in the Neurospin brain research institute. His research focuses on using data and machine learning for scientific inference, applying it to brain-imaging data to understand cognition, as well as developing tools that make it easier for non-specialists to use machine learning. Years before the NSA, he was hoping to make bleeding-edge data processing available across new fields, and he has been working on a mastermind plan building easy-to-use open-source software in Python. He is a core developer of scikit-learn, joblib, Mayavi and nilearn, a nominated member of the PSF, and often teaches scientific computing with Python using the scipy lecture notes.